Silvio Ruiz Grisales is a waste picker from Bogotá, Colombia. He is involved in three waste picker groups in Colombia: The Colombian Association of Waste Pickers (Asociación Colombiana de Recicladores – GAIAREC), the Waste Pickers’ Cooperative of Bogotá (ARB ESP), and the National Association of Waste Pickeres (ANR). 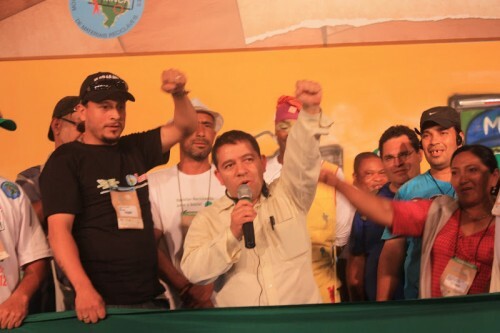 He is also a representative of the Latin American and Caribbean network of waste pickers (Red Lacre). Silvio began working as a waste picker in 1982, at the age of 12. At that time, he worked in the city of Manizales. The dumpsite that he worked at had a cooperative called Cooperativa Prosperar. He was elected director of the cooperative when he was 17 years old. Since then, he’s continued to work as a leader and organizer within many organizations. He’s been involved in the creation of recycling projects.